She also highlighted Singapore’s airport, traffic and people as some of the positives. 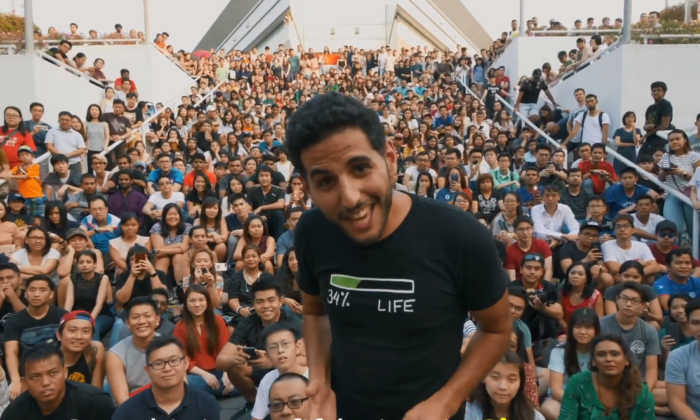 Over the past few months, the Nas Daily team, fronted by Nuseir Yassin, has produced several videos about the little red dot. The crew is known to create content that showcases different cultures, societal challenges and unique places around the world. Singapore came into view in August, when the vlogger post six videos about the country in a span of one week. Yassin’s (the main blogger) visit saw two brands – Changi Airport Group and Sports Hub – being thrust into the spotlight. In September, Prime Minister Lee Hsien Loong also made a cameo in a Nas Daily video about Singapore being an “almost perfect country.” More recently, NTUC Income partnered with Nas Daily on Facebook in October to feature Yassin in its retirement campaign. It’s official: we are moving to Singapore! After 3 years straight of traveling, living in one place for 2 months has been AMAZING. No packing and unpacking. I can own liquids larger than 100 ml 😂, I have a laundry machine, I can cook at home, and I even had time to make FRIENDS! And now I get to do all this – in Singapore 😍 Singapore is the hub of Asia, and arguably a major hub of the world. That’s why @nasdaily is moving us, and his company there. STRATEGY MIS AMIGOS. Their airport is insane (it has a movie theatre and a butterfly garden), there’s almost no traffic (a blessing for an LA girl) and the people are amazingly nice (and smart!). We could be there two months or two years, but no matter how long it is it’s going to be SICK! See you soon, SINGAPORE! Netflix steers clear of Apple TV: What does it really stand to gain? According to Immigration Department director-general Datuk Seri Mustafar Ali, these individuals would be "red-flagged in the syste.. Even in economy class, it will be easier to get points and stay in the Marco Polo Club programme - a marked change to the previous..
Antony Yiu says while the sudden announcement may have caught many advertisers off guard, the change will ultimately be for the be..
Digital disruption, cheap money driving asset purchases, and zero-based budgeting are three major forces impacting the ad industry..